The upcoming high-end smartphone with a QWERTY slide-out keyboard will have a 6-inch display with an 18:9 aspect ratio. Last year, Motorola announced a QWERTY keyboard Moto Mod for the Moto Z Series at CES, and this was made by a company called ‘Livermorium’. While the Mod got cancelled later on, the company is now again in news for a high-end smartphone with a QWERTY slide-out keyboard. Livermorium, which has now changed its name to F(x) Technology, has released a promotion campaign in a series of emails to users who showed interest in their company for the upcoming smartphone. The company has provided few key aspects of their upcoming smartphone as part of promotion. 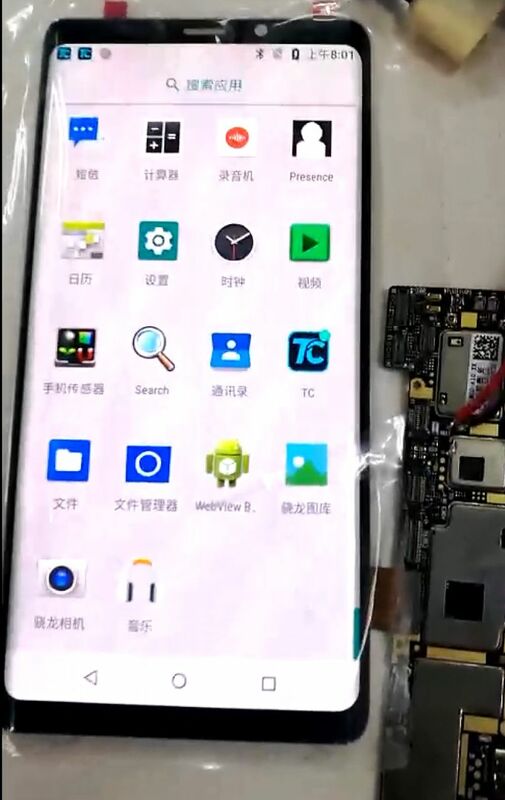 As first reported by XDA-developers, the upcoming high-end smartphone with a QWERTY slide-out keyboard will have a 6-inch display with an 18:9 aspect ratio. F(x) Technology claims that they will put the big display in a smaller footprint than the Nokia 7.1 Plus and the Moto Z3. For the slider, they claimed to have hired the team that designed the keyboard for Nokia N97, Nokia E5, and Nokia N950. In terms of display, the promotion emails sent to subscribers note that it will boast of an AMOLED panel for “ more vibrant colors, deeper blacks, and fewer, thinner screen layers” and will have curved edges to match the overall design of the phone. For the slide-out physical keyboard, it will have a five-row QWERTY keys with dedicated number keys and these will be backlit. Just for the keyboard, the shared image by the company shows Ctrl, Shift and Fn keys. It will also have a Caps Lock key with a tiny green LED to show that it is turned on. The keys will have a convex design and are said to be optimized to make them comfortable to press. The company also claims support for multiple languages. As of now, the smartphone from F(x) Tech is expected to be released in Q1 2019. While the phone will ship with a stock version of Android Pie with a new launcher focused on improving landscape operations, the company has also approached LineageOS developers with plans to also work with Sailfish OS.